I can admit it. My recipe collection was a mess. I just had to get it under control. 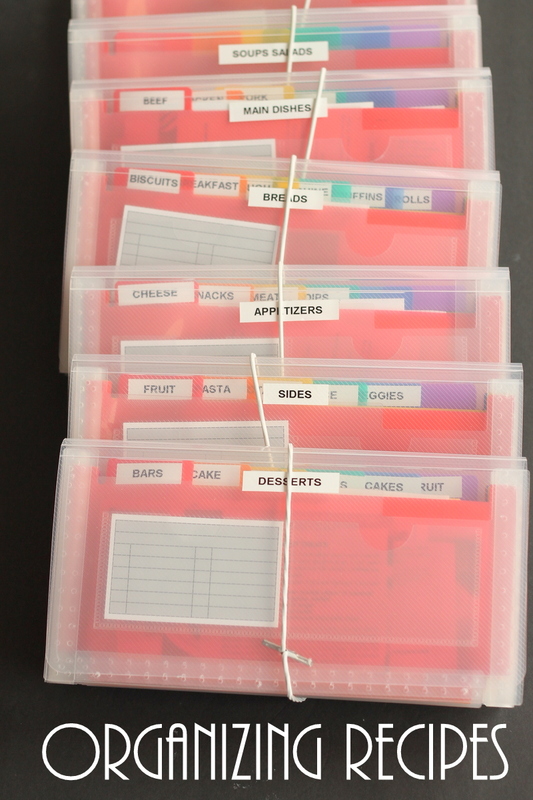 I had this fabulous idea for using coupon type organizers for recipes. And so my idea for organizing recipes was born. I must say I am loving this idea and you can do this for your collection easily! Just click here to read more about my idea for organizing recipes over at Old Time Pottery. I will give you all the details there! I am compensated for posting there however all projects and opinions are my own! Great tips! I need them!